Hockey Made Easy Instructional Manuals are written by Hockey Canada award winner John Shorey.
" Young Players Must Understand Hockey Before They Can Excel On The Ice." who has over 50 years of vast hockey experience. and team’s top point producer over 3 seasons. playing coach In Italy and player in Holland. Jr. “B” Coach of the Year and playoff Champion. Owner of a Junior “B” Hockey Franchise. Junior “B” League President for 32 seasons. Recognition Award for outstanding service. 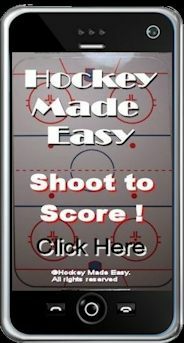 Purchase your copy of Hockey Made Easy Now!